Water Heaters - Website of midwayplumbingservices! Turn to Midway Plumbing Services for all your Annapolis and surrounding area water heater repair and installation needs! Whether you have a standard electric, power vent, gas, or LP (Liquid Propane) water heater, we can repair it or install a new one. Turn to Midway Plumbing Services for repair or replacement of your water heater fast and efficiently. Are regularly running out of hot water? 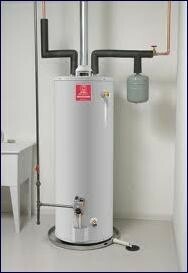 Midway Plumbing Services offers Annapolis and surounding area water heater repair and installation services for all tankless models. If it’s time to upgrade your standard water heater to a new model, we can explain all your options and have an installation expert at your home ready to serve you in no time!